prevent access to these assets, and if you don't take steps to make them available to your heirs, your digital legacy could be lost forever. mind knowing that your digital heirlooms won't be lost in the shuffle. "Death is the final frontier of cyberspace--and this book provides a road map to the key issues, problems and future prospects for bridging this ultimate transition with dignity, security and grace." "To be ahead of one's time usually means stepping to the side of one's time in order to see it clearly. 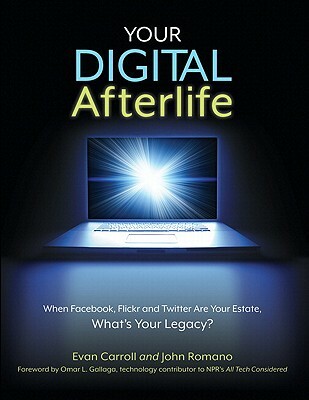 This book does just that, putting our digital lives and afterlives into sharp focus. Fascinating." John Romano and Evan Carroll are the founders of TheDigitalBeyond.com, a leading online resource that explores death and digital legacy. As researchers and speakers, they are devoted to helping individuals secure their digital assets for posterity. Their work has been covered by CNN, NPR, The New York Times, Obit Magazine, the Orlando Sentinel, and The Austin Chronicle. With backgrounds in design and information science, together they have over twenty years' experience making the web a more useful and enjoyable place.